Wearing one of the dreamiest beaded dresses that I could not stop staring at when I removed it from the parcel. I can see myself wearing this one for many years to come. 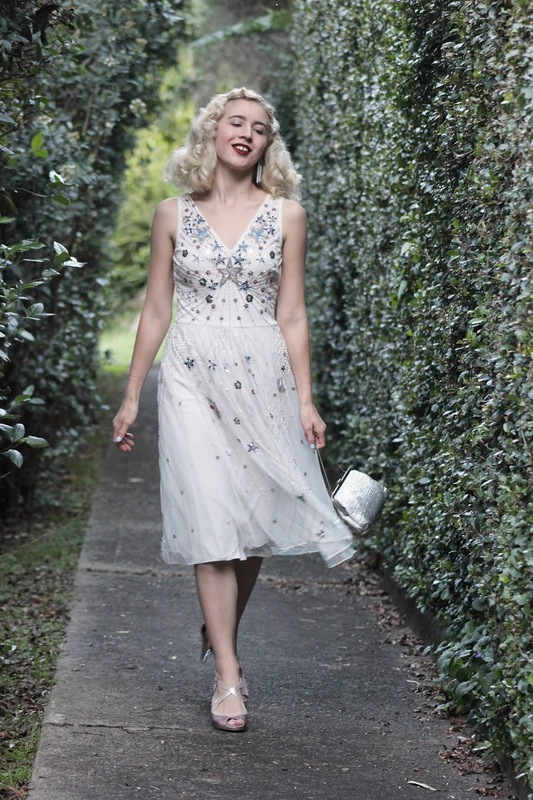 When I saw this beautiful dress in the Unique Vintage new arrivals section I was head over heels for it and already new what shoes and bag I would wear it with. 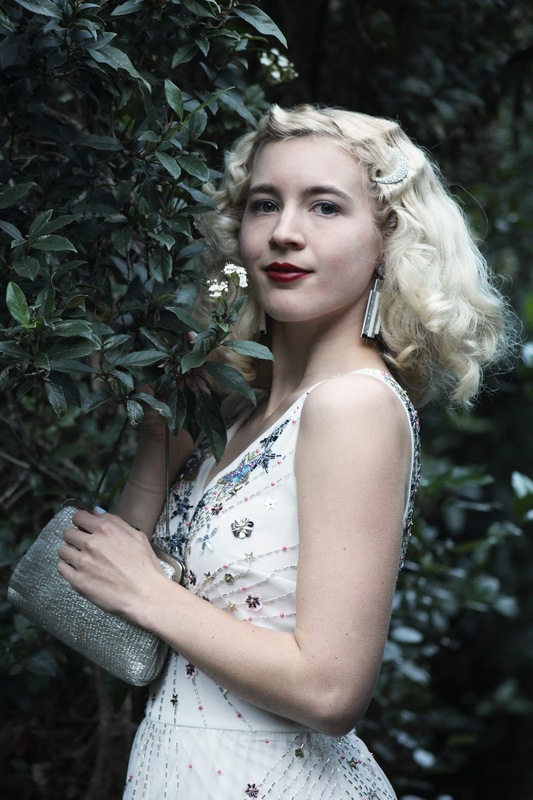 This dress is 30's inspired and the way I have styled is a bit of a mix of 20's, 30's and 50's (mainly my hair) - I can't help but mix eras sometimes. I do like how my hair turned out after styling it - big hair and a few quick finger waves worked well together (at least I think so, haha). 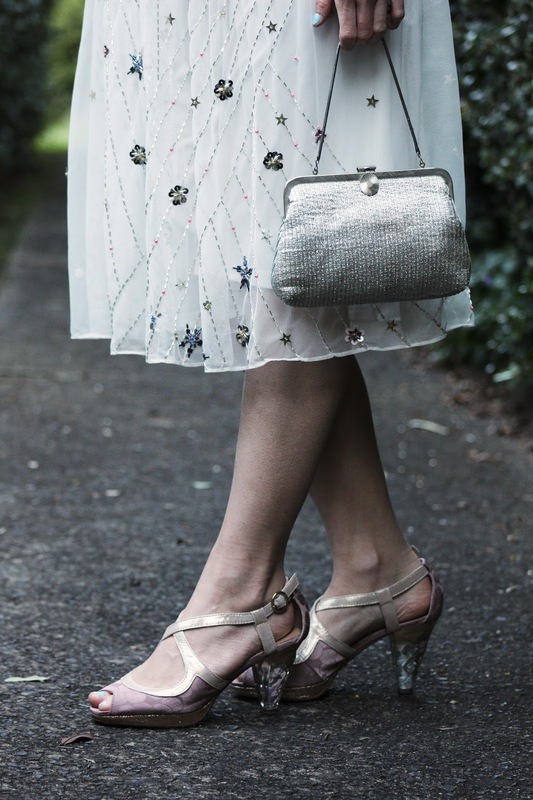 I went with lots of sparkly accessories to compliment the dress, because who doesn't want glittery shoes and a sparkly purse to go with a dress like this?! 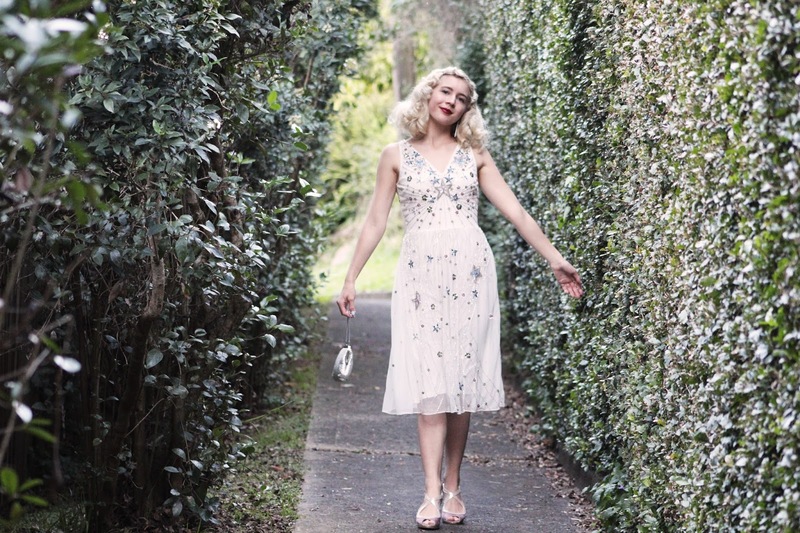 I have the dress in size 8 and love the fit, the waist is a little loose which is just right for a 20's or 30's dress and I absolutely love how relaxed I felt whilst wearing it. This dress is fully lined so you don't have to worry about buying a slip to go with it. 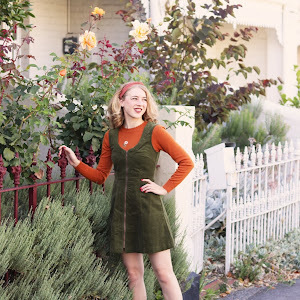 I always love to see what new flapper fashion that is on offer from Unique Vintage as they have such a good range to choose from. I bought this purse probably five years ago at a boot sale and haven't used it much but bought it because I thought it was pretty, it only cost $2 so I thought why not. I love having purses and jewellery stored and waiting for the perfect outfit. 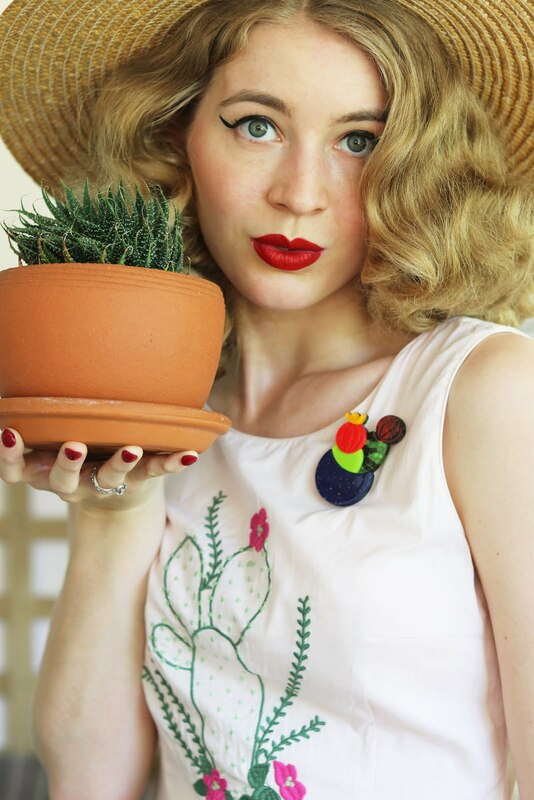 If I find nice vintage accessories for a cheap price at second hand stores or boot sales I usually grab it if I think it will be used eventually. It makes mixing and matching new/old clothing and accessories fun. My hair has been cut shorter since these photos and you will see what it looks like in my next blog post later this week. 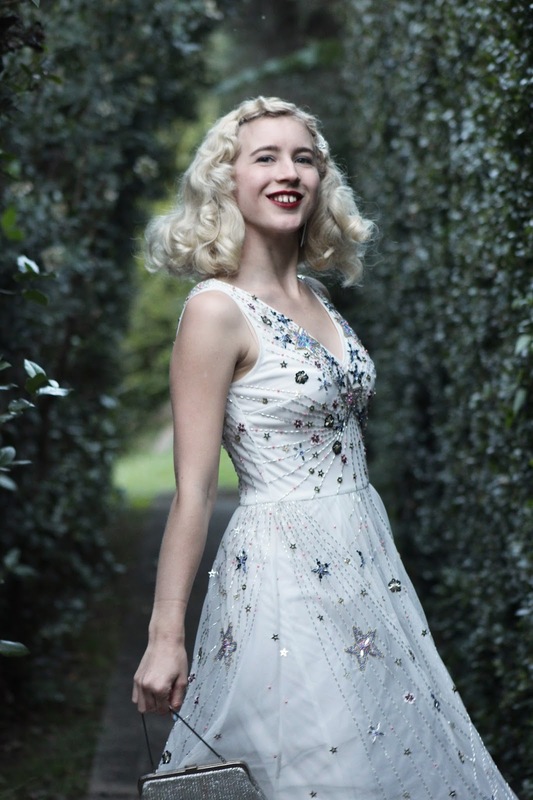 What a lovely dress - it is magnificent! Wow! 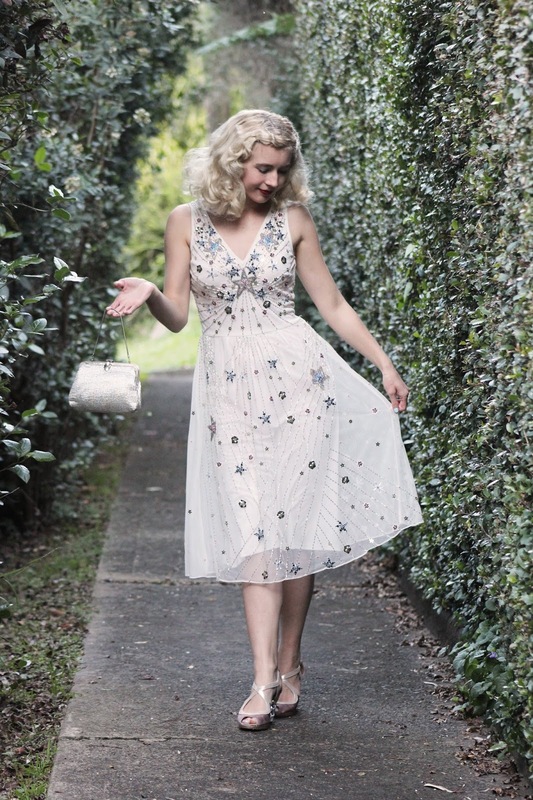 This dress sure is something special! It looks so well made too, you look like you walked right out of a 40's preimer! Be still my heart, that is honestly one of the most gorgeous dresses I've ever laid eyes on. 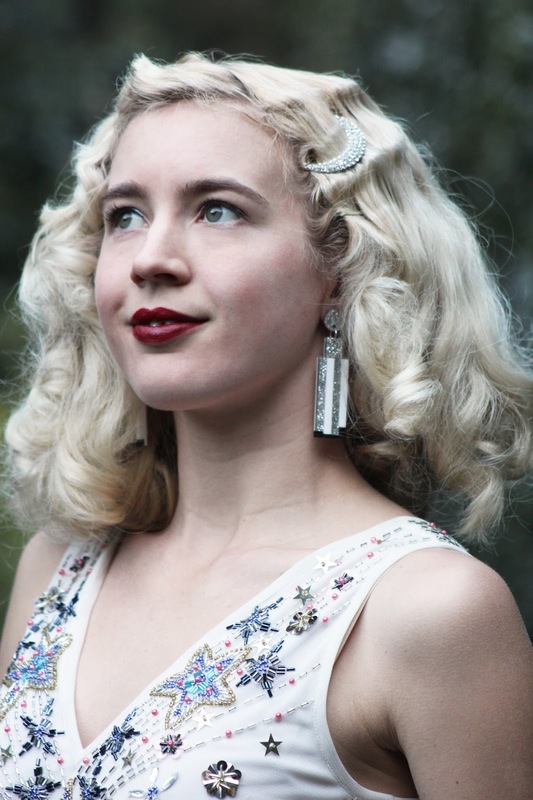 What an incredible piece of wearable art that channels the spirit of the past magnificently. To say that I'm in love would be a substantial understatement. Omg! This is such an amazing dress! And your accessories are to die for. I really adore this look on you - breathtaking! I absolutely adore your outfit and I'm all for sparkly accessories :) That dress is very beautiful and I'm actually surprised I recognized it's 30's style. That is the one era I know practically nothing about, especially fashionwise. I guess I do know something after all! Such a magical look! You are stunning in this dress. 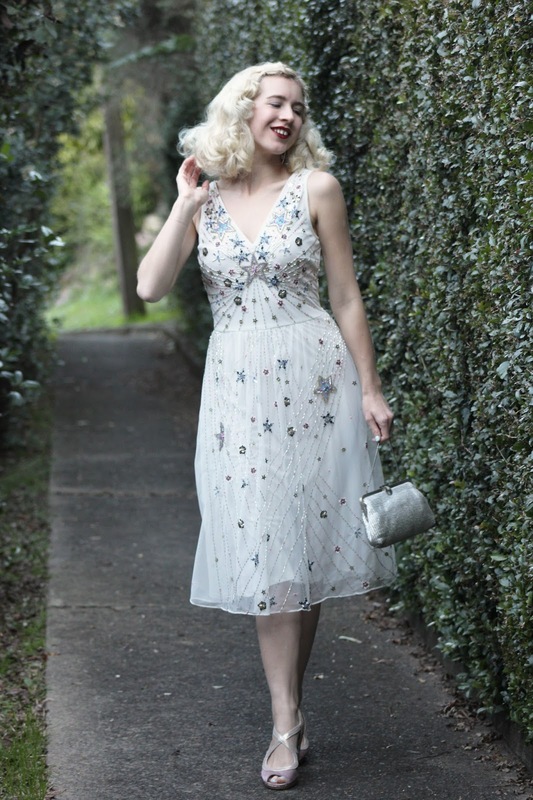 Like a vintage, elegant, fairy princess!